The University of Georgia Career Center is the sole provider (except for MBA and Law students) of centralized career services to undergraduate, graduate students, and alumni at The University of Georgia. Graduate students have a specific Career Consultant liaison based on their academic area of study. Call the Career Center at 706-542-3375 to schedule an appointment with your consultant today! 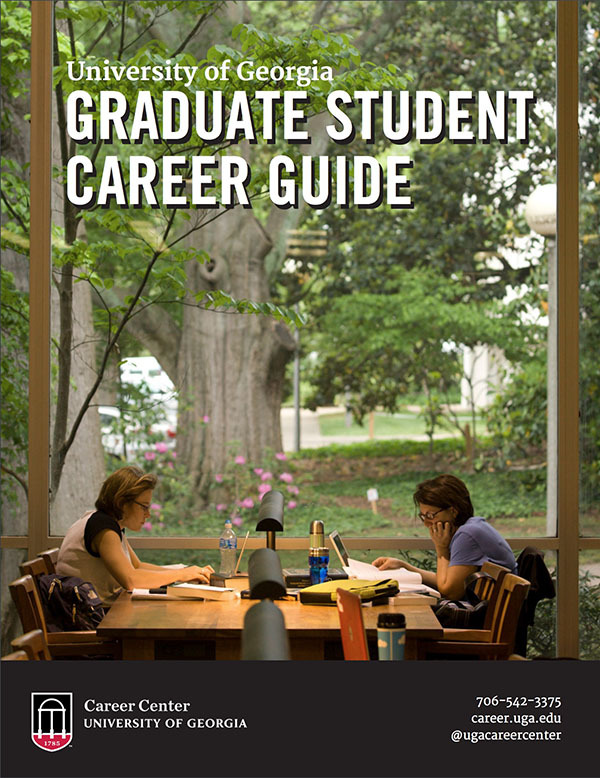 Click the button or image below to check out our Graduate Student Career Guide. You may also click here to access our other Career Guides (After Athens, Federal Resume, International, etc. ).